A new rumor out of Apple's supply chain over the weekend suggests future iterations of the HomePod could come with 3D-sensing cameras supporting Face ID, similar to the front-facing technology on the iPhone X. Specifically, Inventec Appliances president David Ho mentioned recently that the company sees a trend towards both facial and image recognition technology being incorporated into smart speakers, without specifying which speakers in particular (via Nikkei). Ho made the comment following Inventec's latest earnings conference, and analysts listening predict that he was likely referring to "the next generation of Apple's HomePod." Inventec Appliances is currently the sole supplier of both Apple's AirPods and HomePod, but also makes Xiaomi smartphones, Fitbit devices, and Sonos speakers, among others. Given the company's ties to Apple, analyst Jeff Pu predicts Ho's comments could suggest a Face ID-enabled HomePod in 2019. "We see trends that engineers are designing smart speakers that will not only come with voice recognition but also incorporate features such as facial and image recognition," President David Ho told reporters after the company's earnings conference. Ho said that facial recognition features "are set to make people's lives more convenient and to make the product easier to use." He further clarified his comments, however, citing hesitancy about whether smart speakers "with more AI features" would become popular. HomePod is set to release in December, although Apple has yet to confirm a specific release date for the new device. 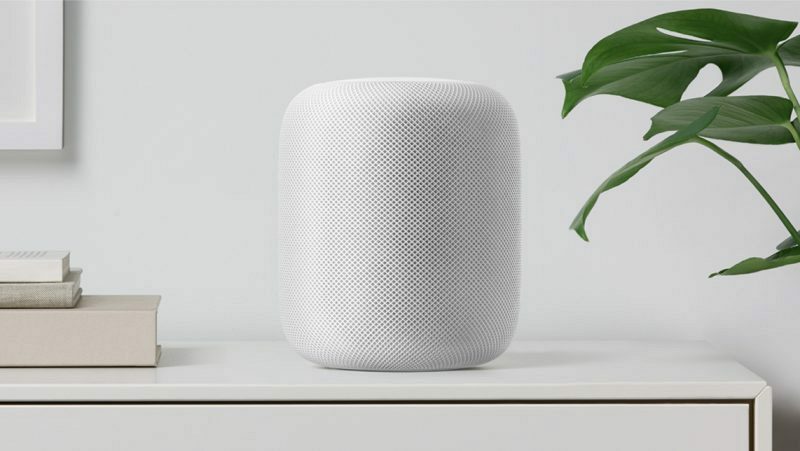 The upcoming smart speaker was first revealed during WWDC in June, where Apple explained it would be a music-focused speaker with high quality sound, deep Siri integration, and spatial recognition for providing the best sound in any space. Even before it was officially announced, rumors of the device's production were connected to Inventec Appliances. Over a year before its unveiling at WWDC 2017, Apple's "Siri Speaker" was rumored to include facial recognition of some kind as another leg up on competing Echo products from Amazon. At the time, sources with knowledge of Apple's project said the device would be "self aware" and able to bring up different user profiles as people walk into a room, "such as the music and lighting they like." The HomePod launching next month will lack any such features and instead be controlled mainly through voice-enabled user prompts with Siri. Am I the only one who sees no use for Face ID on a home speaker...? So far all HomePods are future HomePods. Can it just come out first? Wife - "Siri - play Robert Plant's new album"
Homepod - "Sorry - this homepod is designated to your husband's Apple Music account. If you want to hear some music you'll have to pay for your own subscription or buy your own homepod, mate." As an option that can be completely turned off for those who don’t want it, fine. But if it adds to the cost, I can say I don’t want it. It would be more practical if I could speak a password or have it recognize my voice upon command or somehow actively initiate my profile rather than have this activated passively by virtue of my walking into a room and possibly have my presence disrupt the listening experience of someone else who was already occupying the room before me. Really, how is this going to work amongst roommates or a family when more than one person is occupying the room? And here is a concern that I think I’m in the extreme minority in having, but I don’t think I necessarily want IR beams flying across the room and hitting the eyes of my toddler grand nieces and nephews when the jury is still out on the safety of this technology (yes, I’ve looked into it) especially around small children’s eyes. It’s like they’ve got this cool new technology and they want to stick it on everything as a selling point whether or not it really is going to enhance the experience for the consumer. But I’ll withhold final judgment until I see the finished products. Face ID linked to user profiles would be cool. I don't believe it (for now). 30k points on your face when you are holding the phone makes sense. 30k points shot across a living room? nope. they would need to increase the density drastically.